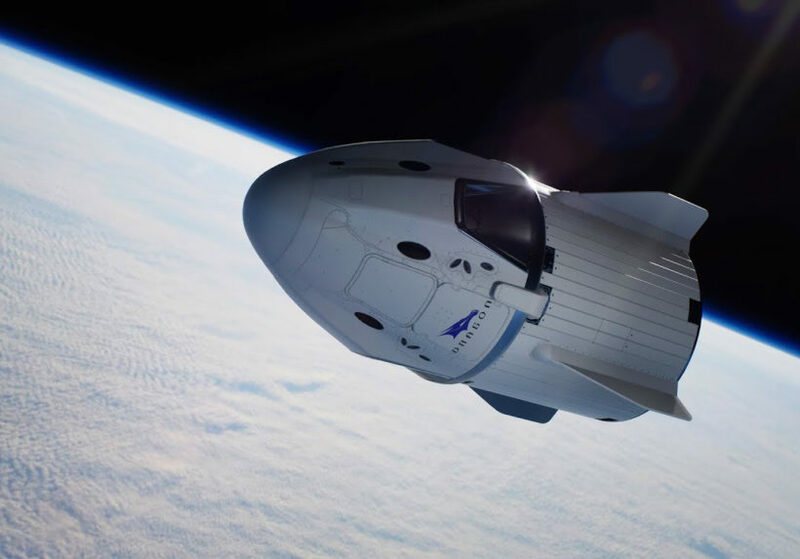 SpaceX’s “Crew Dragon” capsule will be used for both launches, the second of which will send two US astronauts to the International Space Station. (by Chris Perez, New York Post) – President Trump vowed to send US astronauts “back to space on American rockets” during his State of the Union address on Tuesday night — and now NASA officially has a launch date. The agency on Wednesday selected March 2 as the date for the first unmanned test flight, and a [yet to be named] date in July for when US spacemen finally [travel] into orbit from American soil. NASA’s Commercial Crew Program has been working with SpaceX “throughout the month of January” to make sure it is “ready to learn critical information that will further help us to fly our crews safely,” officials said. The first two SpaceX flights will ultimately be “dress rehearsals” for future missions that feature astronauts aboard, according to officials. NASA also hopes to send astronauts into space using capsules made by Boeing. The first manned flight [with Boeing capsules], however, isn’t expected until at least August. An “uncrewed” test is supposed to [happen] in April. From NYPost .com. Reprinted here for educational purposes only. May not be reproduced on other websites without permission from the New York Post. 2. a) When will NASA launch its first test flight from the U.S.? b) When will the first manned flight take place? 3. Why haven’t U.S. astronauts traveled to space from the U.S. since 2011? 4. Which two U.S. companies have been chosen to build the space capsules NASA will be using? 5. What factors could change scheduled dates? OPTIONAL: Ask a grandparent if he/she remembers John Glenn’s 1962 historic flight and successful orbit of the moon, and also Neil Armstrong and Buzz Aldrin’s walk on the moon: Please describe where you were / what you thought. Please describe how Americans reacted to these two historic flights. During his State of the Union speech on Tuesday (Feb. 5), President Trump recognized his special guest, NASA astronaut Buzz Aldrin, as he commemorated the 50th anniversary of the Apollo 11 moon landing. “In 2019, we also celebrate 50 years since brave young pilots flew a quarter of a million miles through space to plant the American flag on the face of the moon,” Trump said. 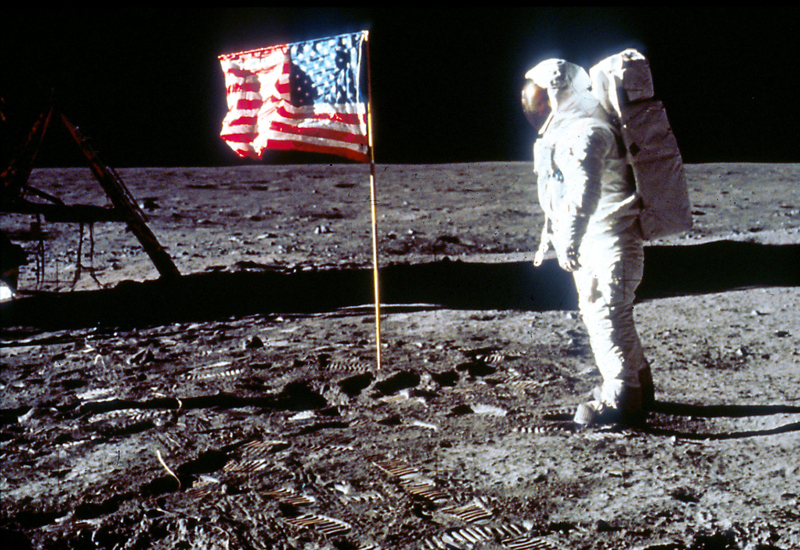 “Half a century later, we are joined by one of the Apollo 11 astronauts who planted that flag, Buzz Aldrin,” he added before thanking Aldrin for his service. Trump has directed NASA to return astronauts to the moon under his Space Policy Directive 1. The space agency is developing a Lunar Orbiting Platform Gateway to serve as a waystation to the moon, as well a massive Space Launch System megarocket and Orion spaceraft to reach the Gateway. NASA is also working with private companies developing commercial lunar landers for future moon missions. President Trump also gave a nod to NASA’s commercial crew program, which could start launching astronauts to the International Space Station this summer. “This year, American astronauts will go back to space in American rockets,” Trump said during his speech, referring to SpaceX’s Crew Dragon and Boeing’s CST-100 Starliner. Read a Feb. 2018 article on SpaceX’s first-ever launch of its massive new rocket, called Falcon Heavy.